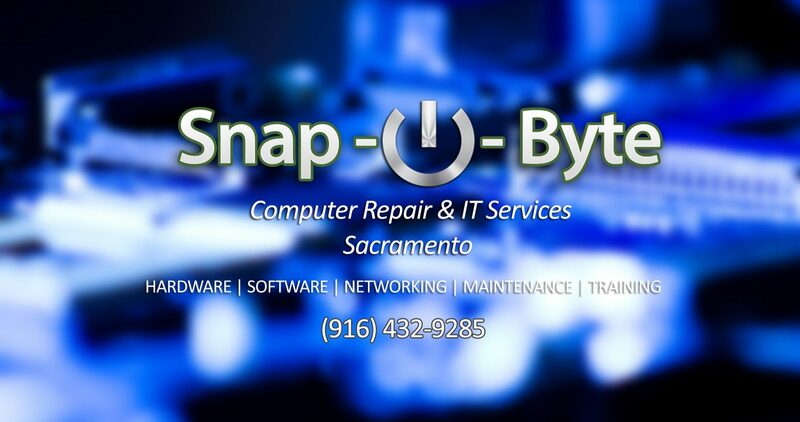 Snap-O-Byte is a locally owned Computer Repair & IT Services business and we serve Sacramento and surrounding cities. Customer service and satisfaction is our first priority as we provide high quality service to all customers looking for help with their computers. We are here to fix your laptops, desktops, and PCs at an affordable price. Got virus? Internet security is a important feature to have on every computer. Let us protect your computer with the most effective security software and configurations. We can remove viruses, malware, and spyware and bring your computer back to life. Get your computer running fast as we can perform remote or on-site clean up, tune up, and speed up your computer so it runs like new again. Want to upgrade your computer memory? Let us suggest the right hardware for your computer and install it. We’ll troubleshoot and tell you exactly what needs to be repaired or replaced. See our full range of computer repair & IT services. Snap-O-Byte has a simple pricing plan and there are no unexpected or hidden prices. Most residential repairs are under $190 (labor). We provide the best support via email, online, on-site, or phone. Many repairs can be fixed on-site or via remote in a timely manner. More complicated repairs can be picked up from your location and returned at no additional cost.